WE ARE LOOKING FOR DEDICATED AND INNOVATIVE PEOPLE TO BUILD UP AND STRENGTHEN OUR TEAM IN VIETNAM. 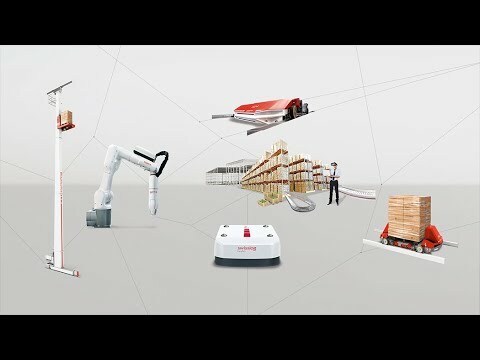 Swisslog designs, develops and delivers best-in-class automation solutions for forward-thinking hospitals, warehouse and distribution centers. We offer integrated systems and services from a single source - from consulting to design, implementation and lifetime customer service. BEHIND THE COMPANY'S SUCCESS ARE 2'300 EMPLOYEES WORLDWIDE, SUPPORTING CUSTOMERS IN MORE THAN 50 COUNTRIES. Swisslog offers challenging work in a globally networked enviroment as well as attractive salary. United efforts of our employees represent the basis for developing and delivering the best solutions for our customers. Follow Swisslog Vietnam (Member of the KUKA group) to get updates about new jobs.